On December 13, care coordinators and case managers at St. Peter’s Hospital, were treated to a moveable holiday celebration! 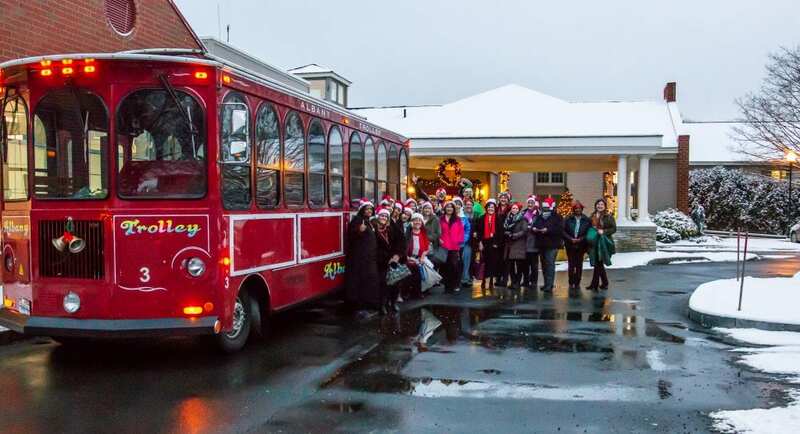 The evening began with a trolley ride from the hospital to the Beverwyck Senior Living Community in Slingerlands, where the group enjoyed a special holiday reception. From there, the trolley took the group on a tour of the Capital Holiday Lights in Washington Park. Eddy Senior Living, which has several independent and assisted living communities locally, organized the evening as a way to say “thanks for all the work you do helping patients throughout the year.” A fun and festive time was had by all!